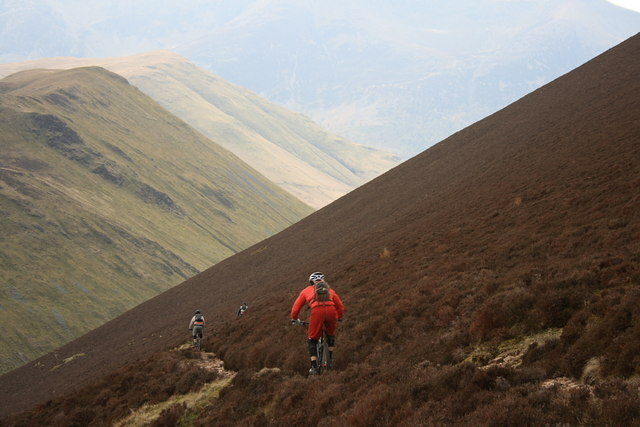 Mountain bikers descending a ridge in the steep hills of the English Lake District. Source: Mick Garratt via Wikimedia Commons. What pacing best allows your creative process the space and freedom it needs? What is the pace of your creative projects? When starting a new project, do you dive in right from the start, intensively working on it? Is there a steep climb in your efforts followed by a lull, during which you direct your efforts elsewhere? Then is it back uphill again as the next project milestone approaches? Or do you take a slow-but-steady approach, regularly working on the project until it’s done and the deadline arrives? What might be some of the benefits of an intense start, followed by a lull, when working on a creative project?